It's that time again for the North American Nintendo Download Update, and this week has some tempting options. The Wii U eShop line-up includes a roguelike that we rather, well, like; in addition the home console has two rather nice DS arrivals on its Virtual Console. The 3DS has a high profile retail release and some promising / high quality download-only titles. There are also plenty of 3DS HOME Themes, so let's get to it. Missed the European Nintendo Download Update? Don't fret, its rather 'succinct' details are right here. Bit Dungeon+ (Dolores Entertainment, $6) - This top-down roguelike features two-player co-op and procedurally generated levels; there are six different level themes, over 40 individual enemies and a horde of massive bosses to defeat. There are also various unlockables to uncover as well as multiple endings. 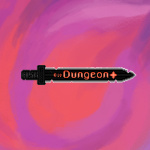 We were impressed and gave this a strong recommendation in our Bit Dungeon+ review. Mahjong (Sanuk Games, $4.99) - We seem to have had a lot of variations and releases in this genre across DS, 3DS and even Wii. Now it's the turn of the Wii U for some tile matching action. Animal Crossing: Wild World (Nintendo, $9.99) - This DS entry brings the first portable entry in this series to the Wii U eShop. This is a charming part of the franchise, though this download version naturally doesn't include the original online or multiplayer features; you can read what we thought about this restricted version in our most recent review. Kirby: Canvas Curse (Nintendo, $9.99) - The DS predecessor to 2015 Wii U release Kirby and the Rainbow Curse, this put the DS touch screen to work as players drew lines to help Kirby roll his way along; we felt some of the novelty had worn off in our most recent Kirby: Canvas Curse review. Disney Magical World 2 (Nintendo, €39.99 / £34.99) - This follow up once again offers a sim / adventure experience within a whole load of Disney settings; it's ridiculously charming, too. 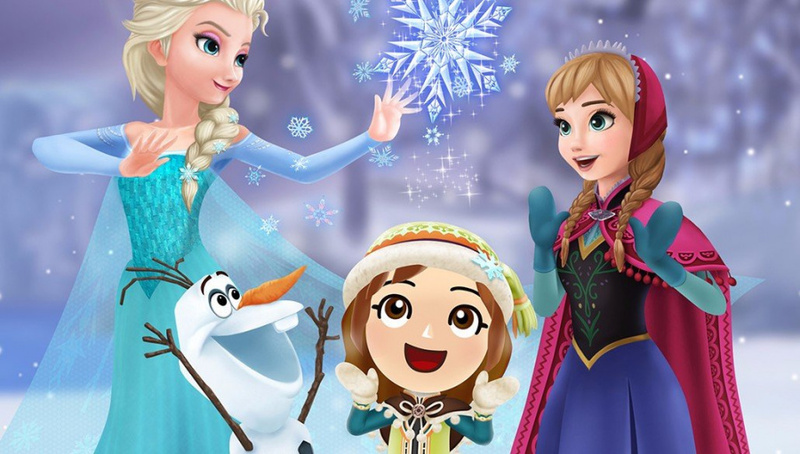 Famous franchises such as Frozen are included, and we were certainly impressed as we gave it a strong recommendation in our Disney Magical World 2 review. Gurumin 3D: A Monstrous Adventure (Mastiff, $14.99) - A 3D action adventure game with a long history, in recent times its been remastered and revived for PC and, now, the 3DS. It puts the stereoscopic screen to work, and as a full retail game 'back in the day' it offers a lengthy campaign, multiple endings and various goodies. We're working on a review, but until that's ready you can check out our hands on impressions from PAX West. 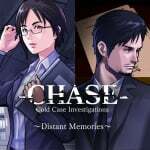 Chase: Cold Case Investigations - Distant Memories (Aksys Games, $5.99, My Nintendo discount also available as Reward) - An eye-catching project led by Taisuke Kanasaki and developed by the talents of multiple staff from the now shuttered CiNG studio. They're well known for narrative-driven titles on the DS in particular, including the likes of Trace Memory, Hotel Dusk: Room 215 and Last Window: The Secret of Cape West. This one seems to boast a noir-style, an intriguing plot, and the opportunity to investigate crime scenes and interrogate suspects. We'll crack the case of whether this is worth a look in our review. SEVERED (Drinkbox Studios, $14.99, cross-buy available on Wii U with same Nintendo Network ID) - As per the Wii U version, but playable on the go. This is an accomplished, clever piece of touch screen gaming, as we argue in our Wii U eShop SEVERED review. BlockForm (CW-Games, $4.99) - The latest New 3DS eShop exclusive, in this one you control a cube with legs for which the colour of the platforms is important due to its effect on its mood and move set. Rather than produce a list of discounts Nintendo of America is pointing those interested to the official sales and deals website. Picking up Chase and Severed today! Well, the good thing about there being nothing I want for the last three weeks is I can finally get the rest of Fire Emblem Fates. Mybe bit dungeon down the road. not getting the discounts is annoying. Make sure to tweet this again when its been updated. Bit Dungeon and Chase look intriguing. But man, the VC is disappointing again! Those are good games, but they are playable in their original form on current-gen hardware. I still have the cartridges for both! Oh well. Excellent week. All I'll be getting is a retail cart of Disney Magical World 2, though. Nothing for me this week. I've got Color Splash and Rune Factory 4 to keep me busy until Darksiders comes out. gonna pick up my cross-buy copy of severed on 3ds, and bit dungeons is tempting... so probably gonna pick that up too!! Nothing on sale this week? Why are European currencies still being used for Disney Magical World 2? Getting Disney Magical World 2 physically (2 copies). One for me and one for my 4 year old son. Severed, mainly because of the cross-buy. I may get Chase: Cold Case Investigations too. I can also make use of this My Nintendo discount. Would be the first time I ever used my Gold Coins. Disney Magical World 2 costs 40 Euros, for the US? Japan must really love Mahjong. Nintendo has released like a billion Mahjong-games across all their platforms over the last 33 years. If I wanna play Mahjong, I pop it into my Famicom. Why understand the text when you don't understand the rules anyway? Getting chase: cold case, gurumin, and canvas curse. Disney MW2 is coming via amazon tomorrow. I spend way too much money on my birthday. Although I may not be getting them all today, it's happening soon...very soon. Cannot wait to finally try Gurumin!! I was planning to get Severed weeks ago but now that there's Gurumin also available I'll get that instead. |sf>Wow! After what seems like months where the only temptations to me were genally new themes, nearly everything within this releases tempts me, considering I loved Trace Memory and have been tempted by Gurumin. Sadly, all these items are hitting the day before Disney MW2 (preordered cart) and the weekend before Skylanders, both of which happen to be games that take many hours to beat. @ultraraichu How did you find that My Nintendo discount it doesn't seem to be among the regular My Nintendo rewards? @abbyhitter Last I checked Amazon, Darksiders had been delayed to November for PS4 and XBone and got the very TBA-feeling Dec. 31 date for the Wii U version. My fear is the Wii U version is being quietly killed off. My experience with the Nintendo website is that it doesn't actually show everything. Looks like I will have to go onto the WiiU and 3DS eshops now to see what's on sale. Plus, it was always nice to know that something was going to be on sale starting later in the sale period. Now we have to check back to Nintendo's store/eshop multiple times during the week to see if anything new has shown up. Gurumin 3D is great. I highly advise New 3DS owners to get it. The original 3DS doesn't handle it as well. And in other news My Nintendo is still a heap of garbage. @mjharper I reported that Darksiders news to NL and PS a few days ago and they said they would look into it. 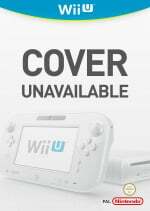 What bothered me the most was that Gamestop (US) doesn't even have a listing for the Wii U version anywhere. It has PS4 and X1, I tried searching for Darksiders and the Wii U page but nothing. I asked on THQNordic Facebook page but nothing so far. A game getting delayed a month these days is nothing new, every PS4 game gets delayed, but companies usually announce it. I actually wondered if they were waiting to get approval from Nintendo to announce a NX version when they announce the Wii U delay or cancelation. @HeroOfCybertron I just happened to stumble across it by chance when I was looking up the game yesterday (google). Love me some Kyle Hyde. @AfterAnAutopsy I was thinking of Gurumin, but I still have a regular 3DS. I'll have to see, though. Might be best for me to go with the Steam version. @SMW it runs a little less smooth, but it's a great game for the system, regardless of which 3DS you have. I recommend it. @SMW My favourite version is the PSP one, all though it might be a tad tricky to find a copy nowadays. Either way, great game and whether you grab the PC or 3DS version you'll have a blast. Dang it. Looks like I'm buying more Sonic themes. The fact that SEVERED is cross-buy makes it very tempting for me. Also...Investigations looks cool (i LOVED Hotel Dusk) but I'll wait for a review first. I wish there was something new to buy. Oh well, another play through of Steamworld Heist or Shovel Knight should do. Hopefully the NX has some great games coming in the near future. I only check these weekly updates in hopes of seeing Star Fox 64. I'm starting to think the day will never come. I was hoping for some Gunvolt 2 menu themes. Japan got a ton of them, so I was hoping we'd at least get that one cool one with GV and Joule in the top and Copen and Lola on the bottom. Chase: Cold Case costs 6 bucks!? Aw yeah, Chase: Cold Case Investigations - Distant Memories. $6. So downloaded later. Getting those Sonic themes. Also, wasn't 'one of the home themes' always one of the voting options in the past when there were themes made available? Why isn't that an option here? Awesome week! I am going to get Breath of Fire 1 and 2 on the 3DS VC. What's that, we didn't get that this week either? Nevermind. YES! 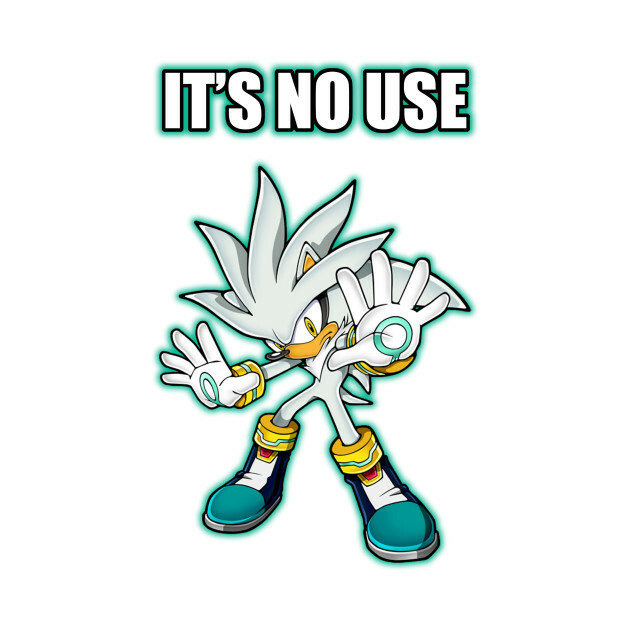 Silver and Shadow themes!!! @biscuitsandtea @AfterAnAutopsy Thanks. I will probably go for the 3DS one as it would be the most convenient for me. Might buy Served but for now. Nothing. SO MUCH good stuff this week! I'm champing at the bit for Magical World 2 at midnight (have it preloaded and I'm a night owl). I never thought I'd like a disney game (even if I do love their movies) but I went out on a limb on the first one and it ended up one of my all-time favourite 3DS games. I'm glad to see pixar included in the second, though Frozen is not one of my favourite pixar films. I thought it was a good movie, but like most people I'm kind of tired of seeing it everywhere. Cold Case also looks very intriguing - I'll probably download it. I already have Severed and Gururumin on my vita, though I'm on the fence over whether to get Gururumin for the 3DS as well. Aaaaah, fall has too many awesome games!! Wiiu is slowly left to die now it seems..
"can finally get the rest of Fire Emblem Fates"
I have 2 spare codes of Conquest DLC and one map pack DLC, US versions. $10 each. Just thought I'd throw that out there. Been sitting on em since launch when I forgot I preordered the codes through Bestbuy for each of my 3DS. @JaxonH I need Conquest . . . hmm, would you take an eshop gift card code? I earn gift cards through my work, and that's how my wife and I have agreed on me getting my gaming fix. I should get another one in the next few days. Wild World! Finally! Unfortunately, I'm flat broke so it'll have to wait. @JaxonH Awesome! Thanks!! I'll let you know when I have the code. Even until the end of Wii U, there is still NO Gamecube VC. @JaxonH Where is this trade section in the forum? I don't see it anywhere. Woo hoo! Received Gurumin for review! Sometimes it doesn't come up in the search. Ya, well, we kind of took matters into our own hands on that one. And have a far, far better setup than they would have ever given us anyways. I'm so happy North America did get Chase! I'm interested in Gurumin and Severed as well. I'm still kinda wondering why we here in the US haven't gotten Mario kart 64,Majora's Mask,Star Fox 64 & Mario Party 2,while EU had it for months...I also can't help but to wonder where Smash 64 is. not really a lot of mind blowing things releasing on eshop lately unless its both physical copy and eshop. Wonder if that means anything. Just the Messiahs side story dlc for SMT IV Apocalypse for me this week. Though...that's not in the NL report this week?